ARIA Award winning guitarists Slava and Leonard Grigoryan will be performing works from their latest album, Songs Without Words at the Ararat Town Hall in September. 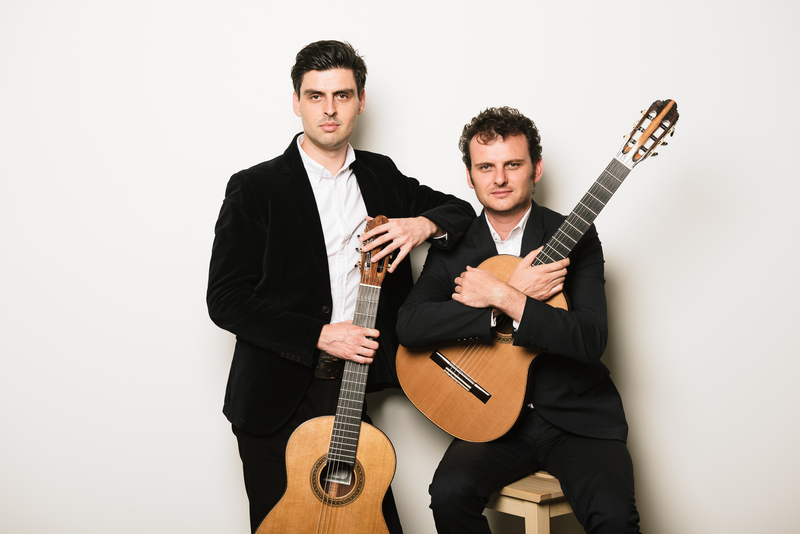 Although regarded as one of Australia’s finest guitar duo – performing much of the instrument’s standard classical repertoire – the Grigoryan Brothers’ passion is to expand their horizons through new arrangements. This ambition can be heard as the brothers take the classical guitar into genres such as jazz, folk and contemporary music. A must see for music lovers, the performance will take place on Thursday, September 6 from 7.30pm with tickets on sale through www.ararattownhall.com.au (adults $25.00, concession/child $15.00). “The Grigoryan Brothers’ broad spectrum of musical styles and classical training results in a unique sound,” Town Hall Venue Coordinator, Jacqueline Grenfell said. “You will hear songs by composers such as Bach, Elgar and Dvorak, as well as other works highlighting their diverse skills. Swing Man by Damian Callinan on Wednesday, September 19 is a performance that is also sure to entertain and make you laugh out loud. Callinan, a renowned character and stand-up comedian, confirms what many had already suspected: he suffers from OTTDs (Over the Top Dance Syndrome). After years of eschewing partner dancing and cutting up dance floors on his own, he discovers that the only cure is to learn how to swing dance – the results are hilarious. Cabaret Opera, Death by Soprano and award winning play Hotel Sorrento are also highlights in the coming months at the Ararat Town Hall. “We are extremely lucky to have such great talent coming to perform in our new auditorium, so please come along and show your support of the performing arts,” Ms Grenfell said.